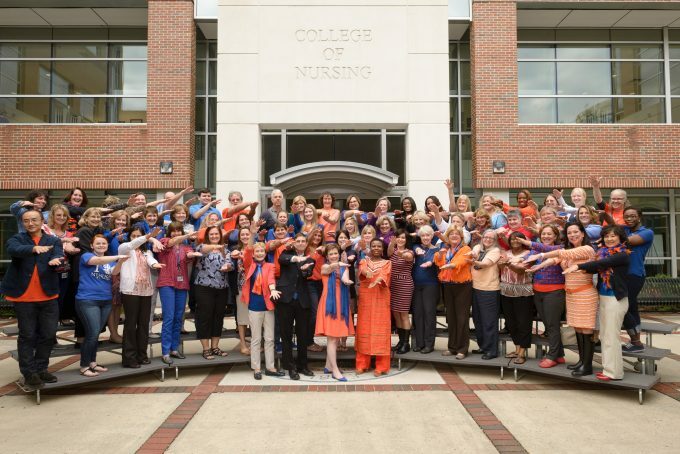 The UF College of Nursing’s faculty members set a standard for excellence when it comes to innovative education, dynamic research and quality patient care. The College has the largest number of doctorally-prepared research-active faculty in the state of Florida . Due to the innovative spirit of its leadership and faculty, UF has pioneered more groundbreaking nursing education models than any other Florida nursing program, including the first nursing faculty practice plan in the state. Faculty education, research and clinical activities are also enhanced through interdisciplinary experiences with five other health science colleges, a network of health care centers and clinical affiliations with community organizations and governmental agencies. The College’s faculty is comprised of two departments: Biobehavioral Nursing Science and Family, Community and Health System Science.